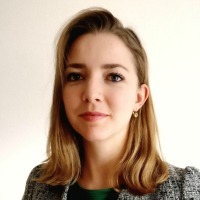 Caroline is a graduate student at The Fletcher School of Law and Diplomacy at Tufts University, focusing on international law and development. Prior to joining Fletcher, Caroline served as a Legal Assistant to the Permanent Bureau of the Hague Conference on Private International Law, an intergovernmental organization working for the progressive unification of rules of private international law around the world. While in The Hague, her work focused on international family law and child protection issues. She has also completed research and advocacy internships at the International Bar Association’s Human Rights Institute and Validity (previously the Mental Disability Advocacy Center), and taught English in a refugee camp in southern Lebanon during the summer of 2016. In addition, Caroline runs a small-scale, long-term charitable education project in her home country, Zimbabwe. She received her law degree from the University of Nottingham in the United Kingdom in 2015. Bhagawati Shahi – The Exception that Proves the Rule?